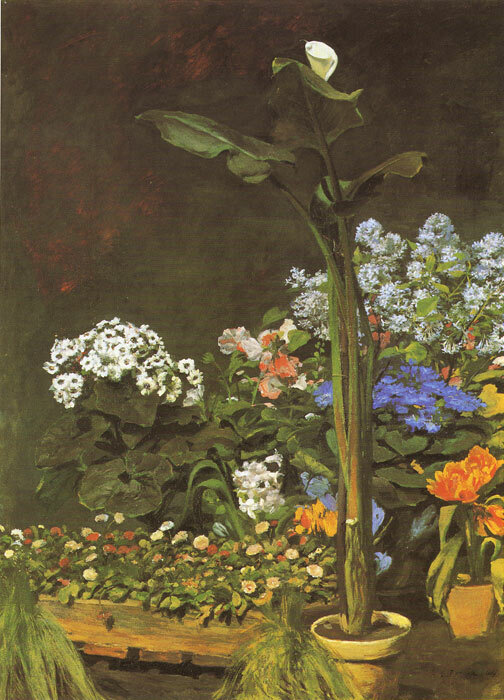 Landscape painters like Pierre-Auguste Renoir and Claude Monet pursued the indoor activity of still life rarely, turning to it when the weather was foul or when the climate was favorable for such works in the art market. SPECIAL NOTE : The painter will make the reproduction as close to the original oil painting as possible. If you want your painting to alter from this likeness, please email us and " Arum and Conservatory Plants, 1864 " will be reproduced according to your special requirements.